The general area in 2014, via Google Maps. 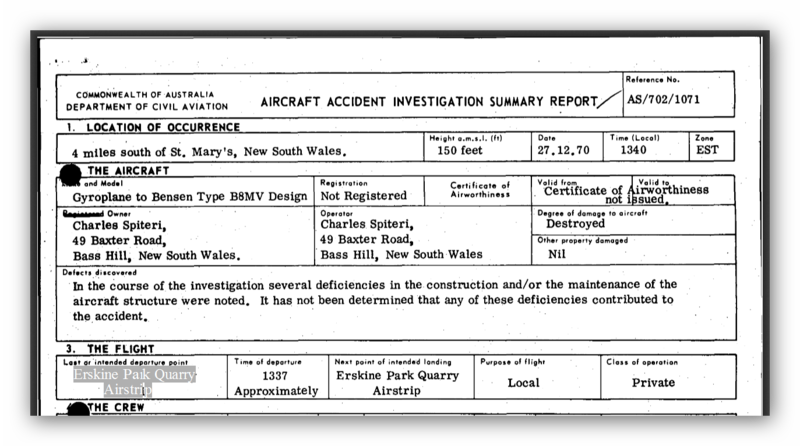 And a crash report from 1970. It existed then, at least. PS: As per the comments below, it's found (with many thanks)! The strip ran roughly SW to NE, bisecting what is now Templar Road. 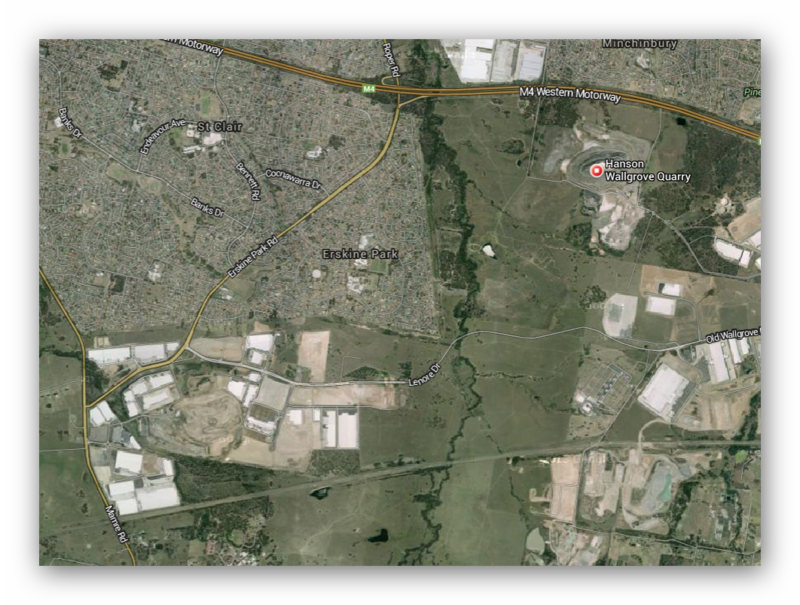 It's an industrial park on the maps today. Lenore Drive is to the north, the water supply line into Prospect to the south. Checkout my list of Sydney and surrounding airstrips and airports. If you go to Six Maps: http://maps.six.nsw.gov.au/, and put in Quarry Rd, Erskine Park, then select Topographical maps, the airstrip is labelled as "Landing Ground" and runs across Templar Rd, from South West to North East (approx runway 06). It appears to have started south of the quarry (then landfill), and runs almost to Lenore Drive. I tried to find this in the 1943 aerial photos - but they don't seem to be working tonight. The strip that you speak of was through a gate, to the right of a gravel road (Lenore Lane) which roughly followed the path of the present Lenore Drive. I remember a "fortified" old farm house (bikie club-house) on the left, somewhere before that gate. After the gate, you skirted around to the left and down the eastern side of the strip to where the cars and gyros parked. I remember that the R/C aircraft brigade used to hang out just after the gate as you drove in. 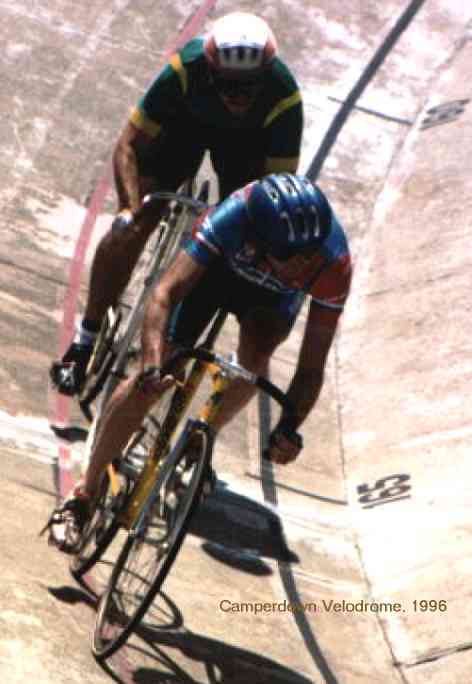 Now, this memory is from not long before it was shut down, sometime several years either side of 1990. Another memory that I have goes back to 1974-5 when I used to fly past that area in GA aircraft is of a strip that paralleled the M4 on the southern side, a little closer towards Sydney from the Erskine Creek strip but not as far as Prospect. Possibly related to the brickworks etc further east. It was not visible from the M4. Many people that I have mentioned this to, have suggested that it was the same strip....and they might be correct but the Erskine Ck strip was much smaller, further from the M4, facing in a different direction and with far more vegetation surrounding it. I would be very happy to hear more from people who used either.